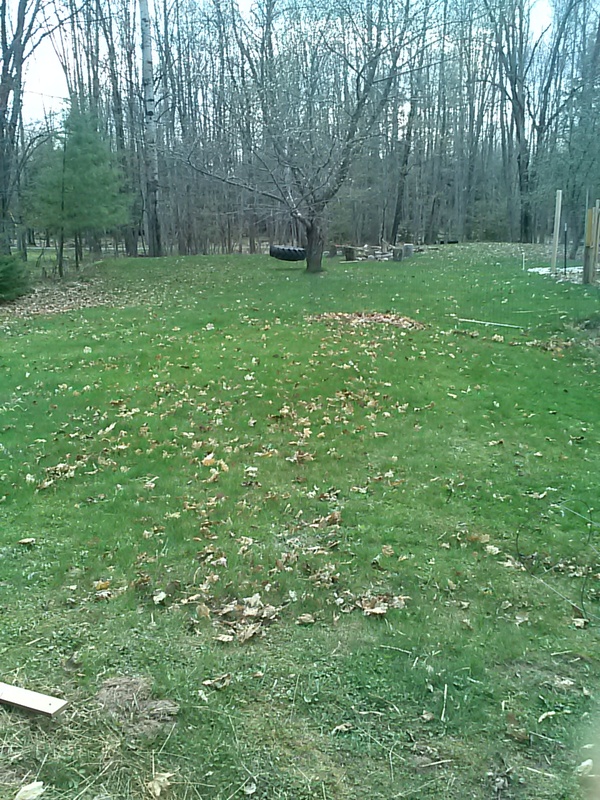 Our yard is greening up nicely. We need to get the mower out soon. 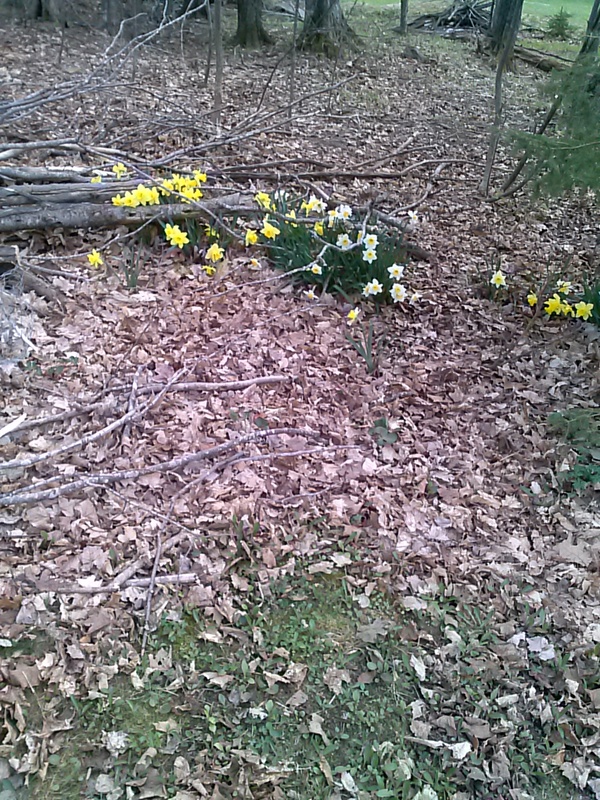 More daffodils in the woods behind our house. 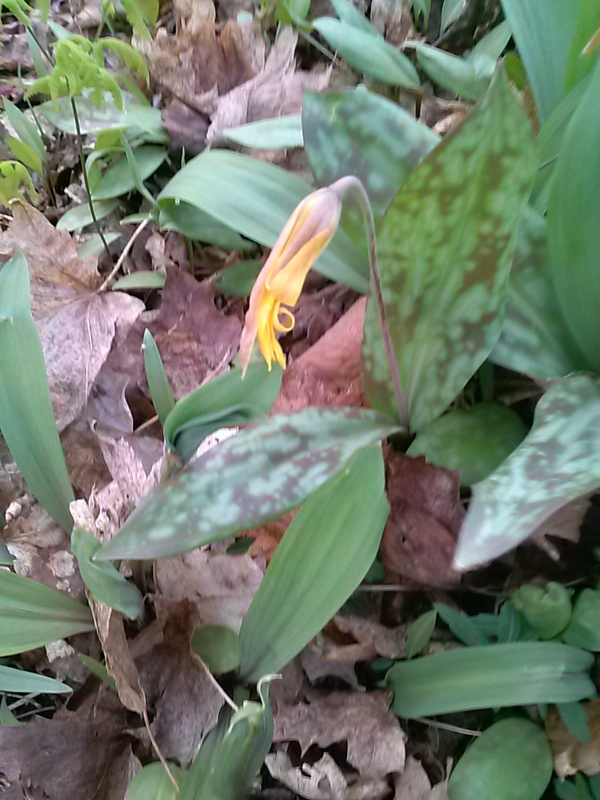 This is the mystery plant from my Leeks post last week – they are now getting yellow flowers. I still don’t know what these are – if you know, please leave me a comment. 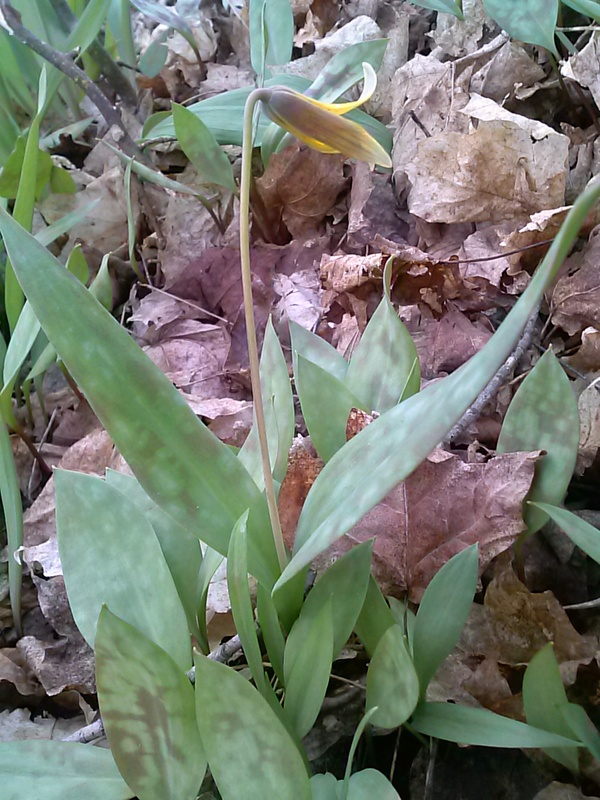 Another one of the mystery flowers – they grow in the woods. 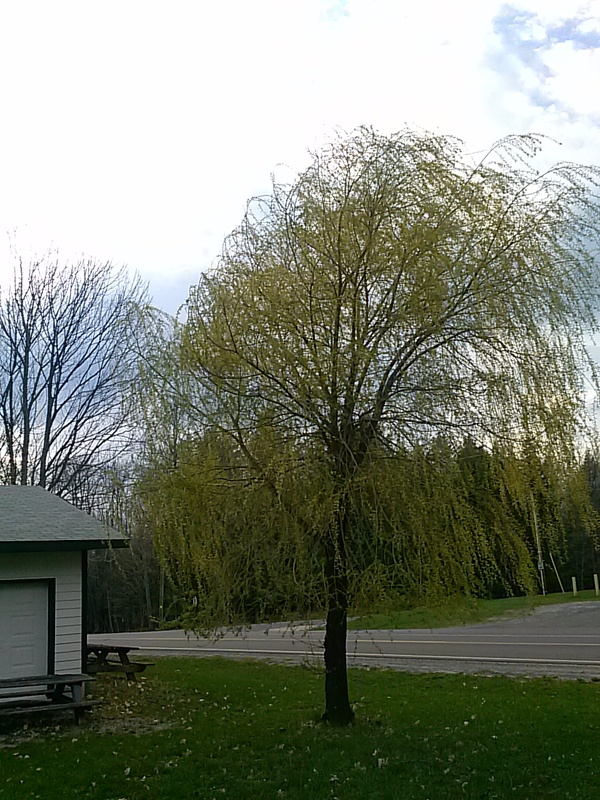 Our willow tree in the front yard. The trees are all getting buds now. 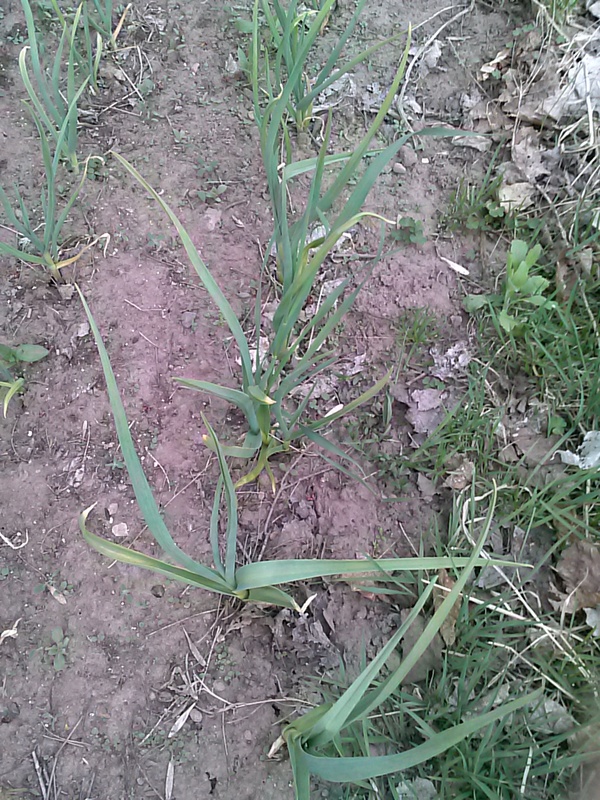 My garlic is doing well – I planted this last fall. This is my first time growing garlic. This is supposed to be an asparagus patch. My mom kept it as one for a long time, but it stopped producing. I replanted it last year. 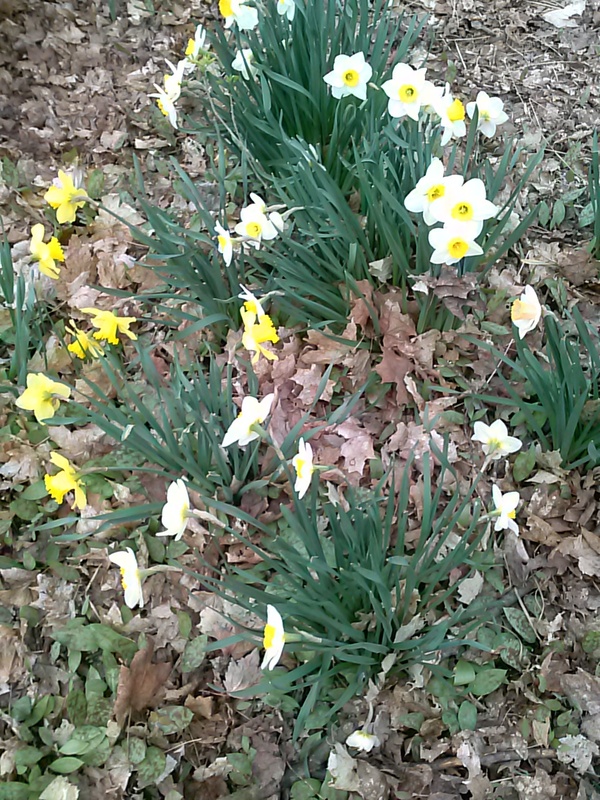 It’s surrounded by narcissus, which are not blooming yet, and need to be divided. 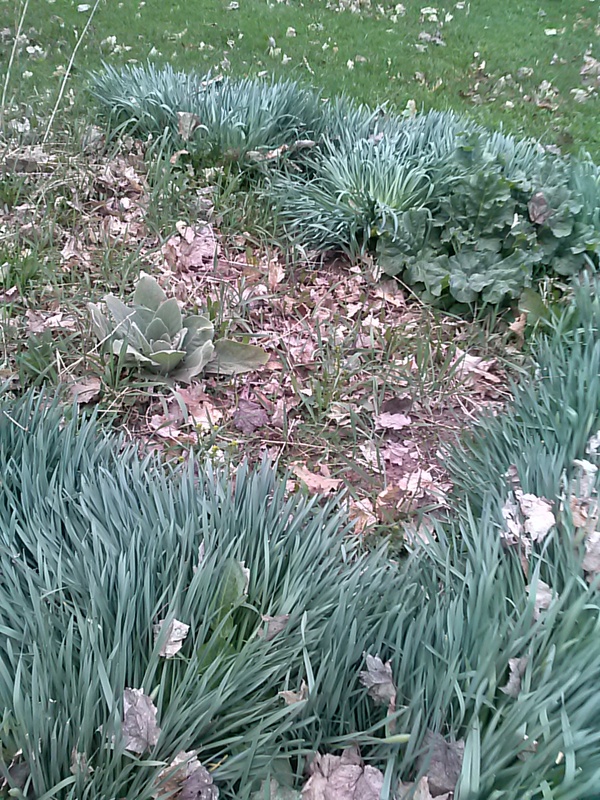 So far my asparagus has not appeared again, although we have a rhubarb (on the right) and a large mullein growing here (on the left).